Usually when a Craigslist seller claims that a car is a “rare color,” they’re blowing smoke and the paint doesn’t actually add any value to the car. 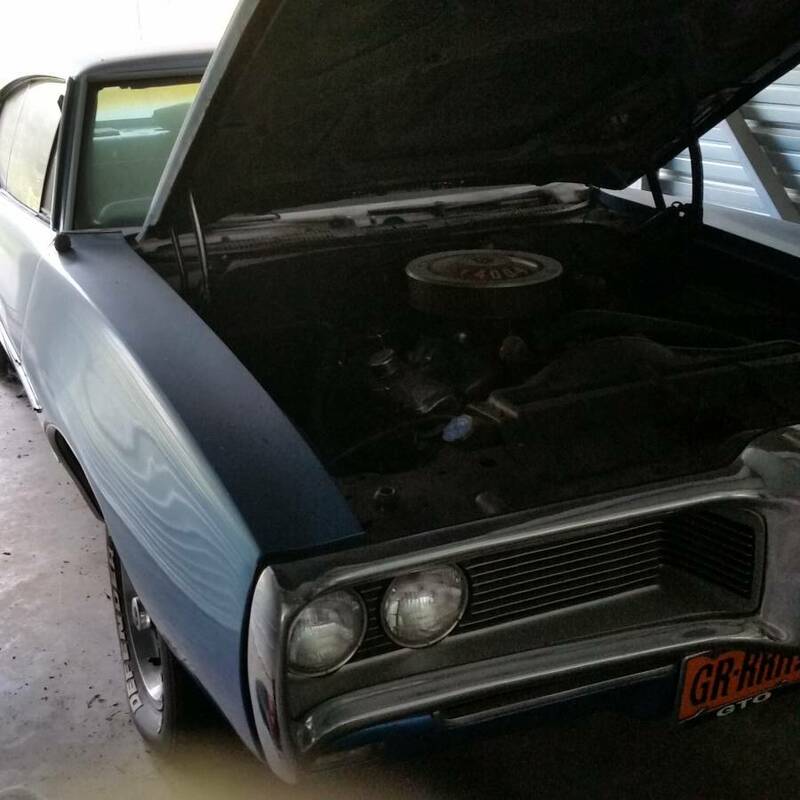 However, this 1968 Pontiac GTO barn find has a color so rare that it might be the only one of its kind. Located in Hendersonville, Tennessee, this Craigslist ad doesn’t have a lot of meat on the bone. It states that it's numbers matching and that it has 87,000 miles on it, but there are only three photos, none of which are of the interior of the car. However, the folks at Barn Finds noticed a few very interesting details about it that likely make its actual value a lot higher than its modest asking price of $15,500. The ad is still up as of this writing, but according to Fox News, the car was sold one day before the Barn Finds story went up. One of the first things you might notice about this Goat is that it doesn’t have the painted “endura” bumper that most GTOs of this vintage had. Instead, it had a chrome bumper which was equipped on only 2,108 of the 77,704 1968 GTOs built. Not only that, but it also has the 400 ci High Output (H.O.) V-8 which was good for an extra 10 horsepower over the standard 350 hp Pontiac 400 thanks to a hotter camshaft and revised exhaust manifolds. Only 10,564 ‘68 GTOs had the H.O. engine and we’re curious how many of those had the chrome bumper. But the real kicker of this GTO that’s been sitting in a storage unit for 15 years is its color. Fox News got its hands on a copy of the original sticker of this car and confirmed that it has its original Windward Blue paint. Okay, so it’s a blue GTO, so what? Well, it's significant because Windward Blue wasn’t officially an option until the 1969 model year. According to the owner who listed the car for sale, the car was originally ordered so late in the model year that Windward Blue was requested and Pontiac complied. 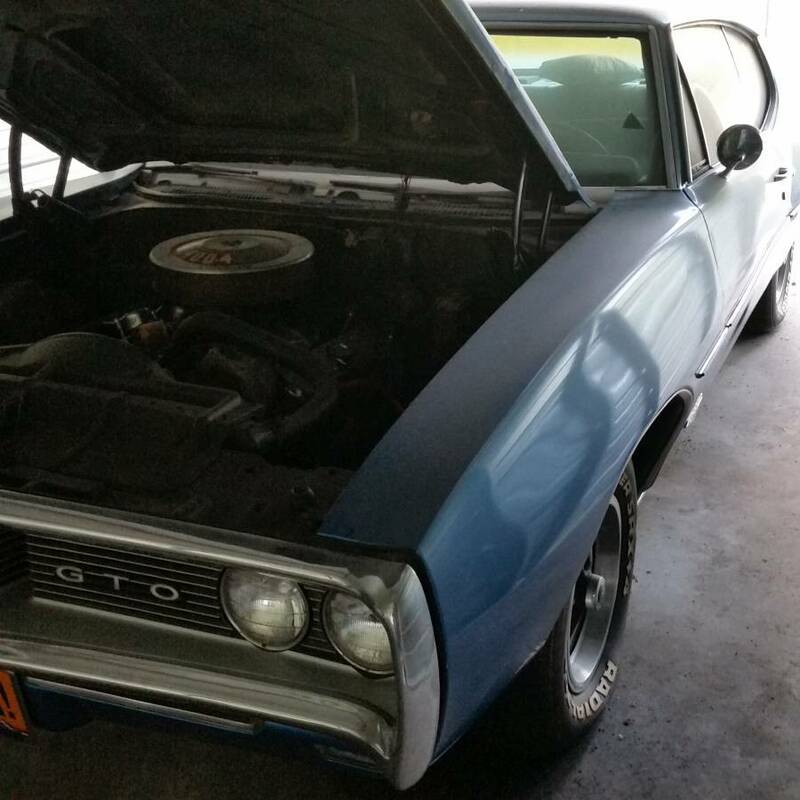 There’s no way of knowing for sure, but this just might be the only Windward Blue 1968 Pontiac GTO in existence, not to mention its other rare features like the endura bumper delete. This is quite possibly a true one-of-a-kind. 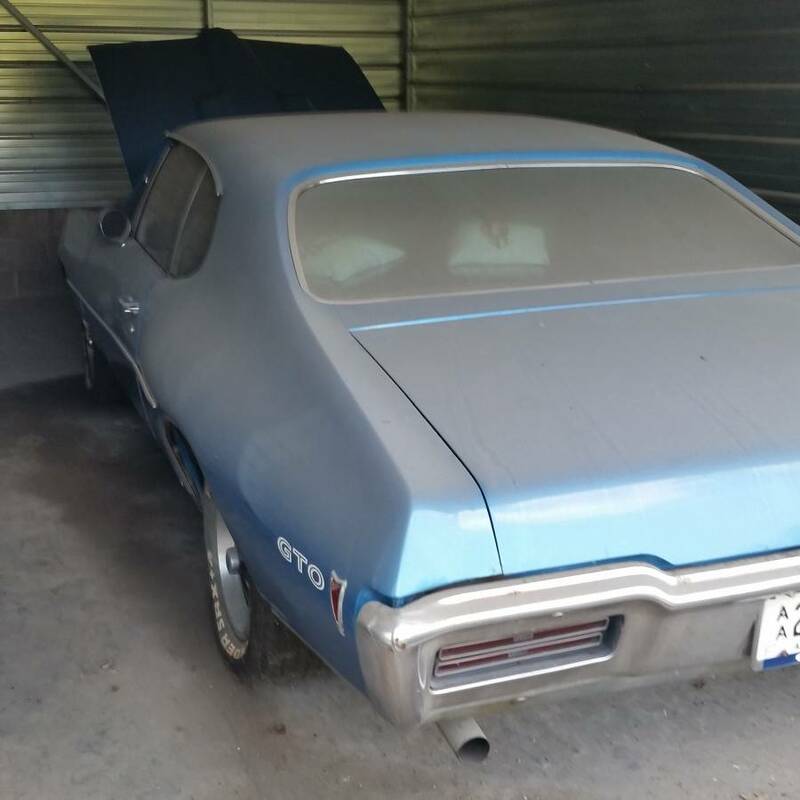 So she might not look like much, but this muscle car oddity could be among the more valuable classic GTOs out there, especially if it’s restored and retains it odd original paint. Whoever the new owner is got a hell of a bargain. The Black Mamba will roll in bright fashion, thanks to the Doggfather.